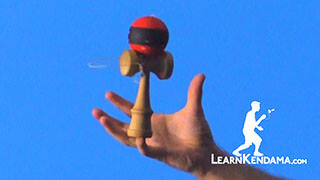 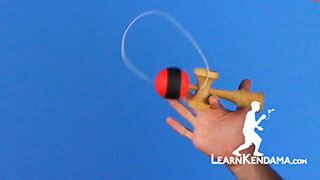 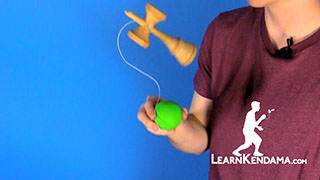 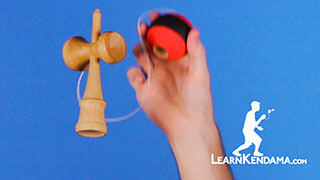 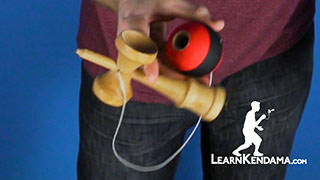 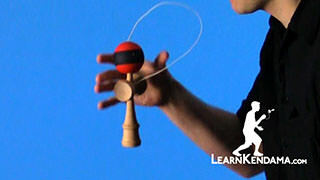 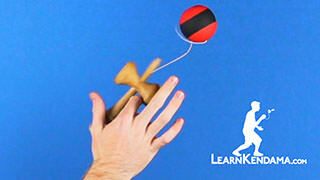 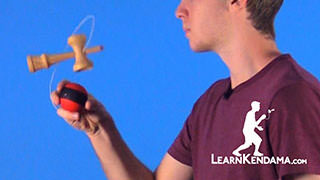 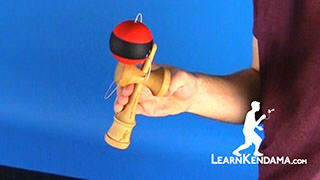 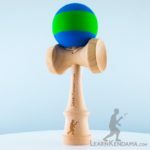 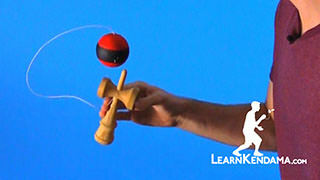 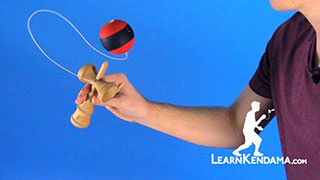 Learn the Cup to Spike Kendama Trick Technique. 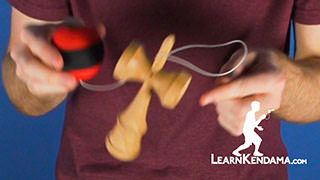 Cup to Spike Kendama TrickThis trick is Cup to Spike, it looks like this. 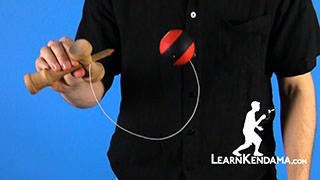 That is all there is to the trick. Before you learn this trick you want to make sure you are practicing your cup tricks and that you have good hole control with the ball so that when you catch the ball on the cup the hole is facing you. If you have not learned that, you can watch our videos on the Big Cup, the Small Cup, and the Base Cup. 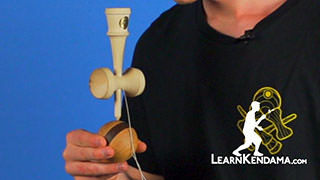 If you have good control like that the first place to start is by catching the tama on the big cup. 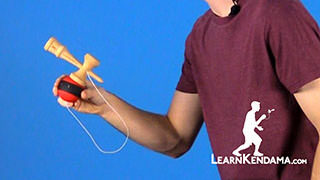 Again, the hole should be facing you. 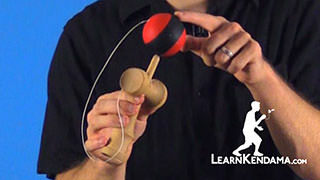 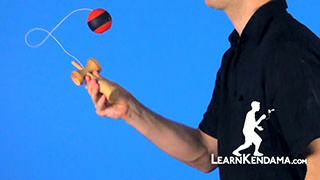 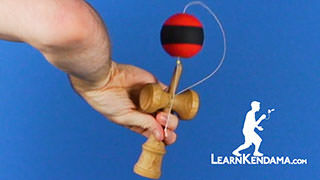 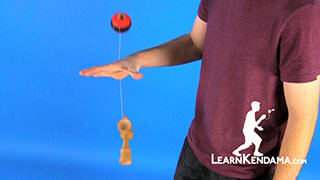 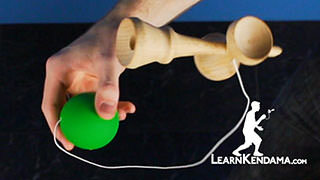 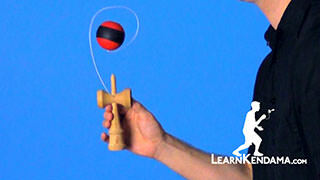 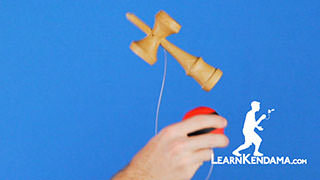 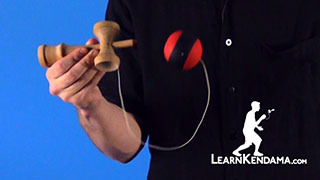 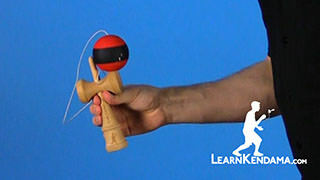 All your going to do from here is you are going to tilt your wrist so that the kendama is at an angle and then you are going to use your knees to lift. 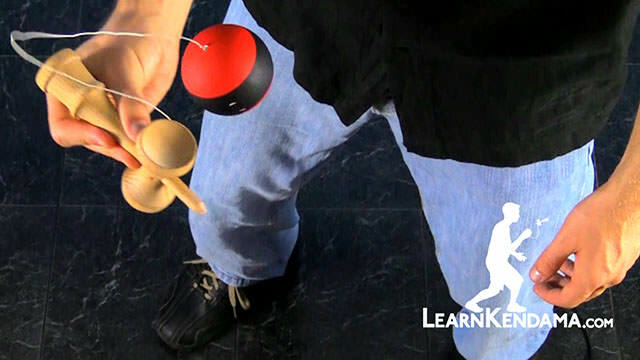 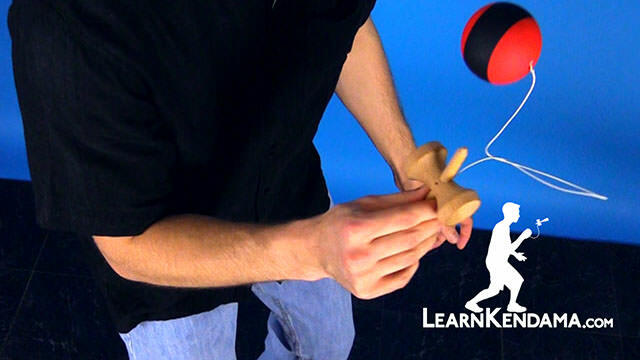 You will notice that when you do that, that if the kendama is angled that the ball will naturally turn so that the hole is down. 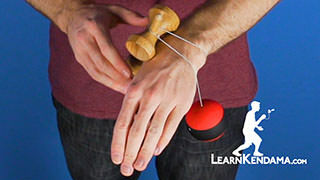 This takes a little bit of practice. 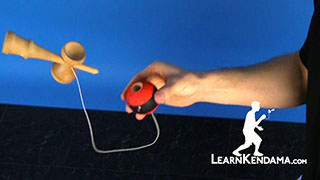 You will notice if the hole is a little bit off you can turn it so that it is facing you and kind of move your wrist around to get that just right so you can aim the hole exactly where you want it. 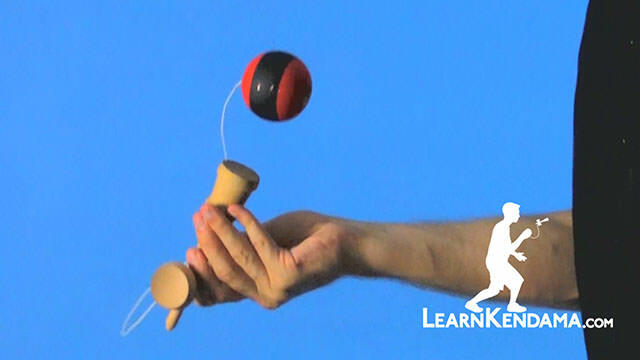 The other thing you will notice is sometimes when you do this trick maybe the hole is pointing straight up or it is pointing away from you. 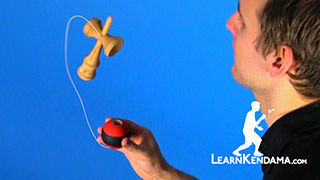 That is okay. 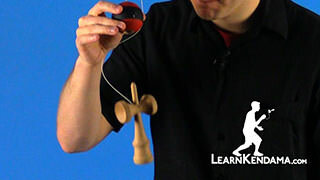 You can do a couple of things to correct that. 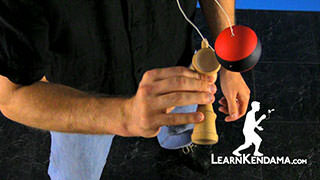 One is you can do some extra cup trick and try to turn the hole in the midst of those cup tricks so that it ends up facing you again. 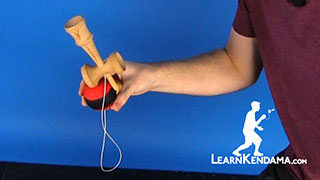 The other thing that you can do is if it is facing away from you can kind of position it so that it is directly away from you, and then tilt your wrist a little more drastically and use your knees a little more to turn that hole and get that spike. 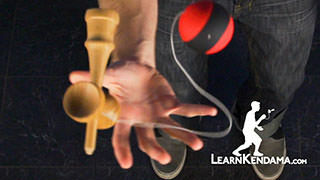 Once you’ve got that down you want to start practicing this trick on the different cups. 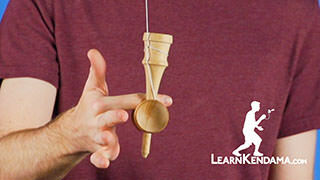 For instance, the small cup. 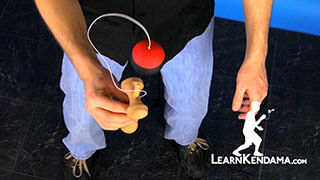 This time tilting, again, inward towards yourself using your knees catching it on the spike. 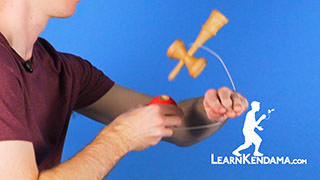 And of course your base cup, tilting inward towards yourself catching it on the spike. 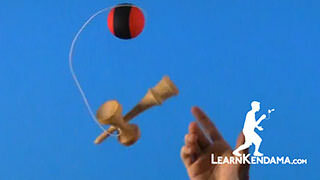 That is all there is to it. 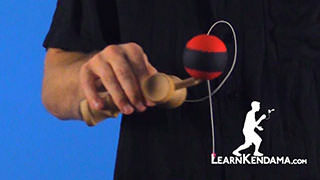 One more helpful tip is when you are doing this trick and the tama is in the air, you want to try to keep the ken as close to the tama as possible because that just makes aiming and find the hole a whole lot easier. 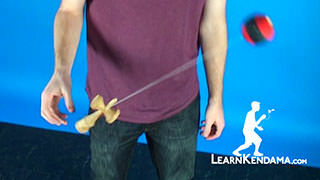 If it is really far apart you will find that it is a lot more difficult. 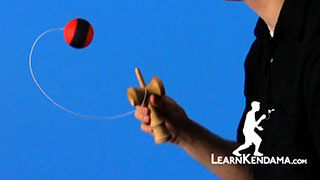 That is all there is to it. 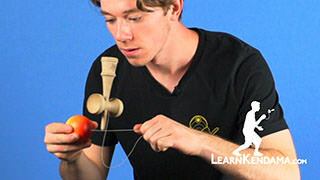 Practice that. 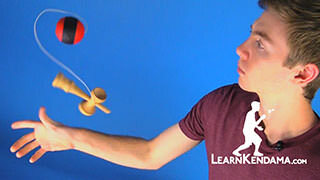 That is Cup to Spike.